Calling all digital historians and archivists: If after reading this you have any suggestions please leave them in the comments section. I will make sure they get passed on to the right people. Thanks. Imagine signing on as the Systems and Emerging Technologies Librarian and being told that the library recently purchased two blogs. For Zach Coble of Gettysburg College the question now is what to do with Civil War Memory and Keith Harris’s Cosmic America. This is an exciting project for Gettysburg College. Although the Library of Congress is also archiving this site it’s nice to know that it will made available at Gettysburg as well. I’ve suggested before that I think we have to begin to shift our understanding of historical memory in the digital/web2.o world. Blogs and other social media tools have democratized the sharing of history further than anyone could have imagined just a few short years ago and it also has made it possible for a much wider demographic to share their own understanding of the Civil War and its legacy. As a result the categories that frame our understanding of the evolution of Civil War memory will need to be revised if not discarded entirely to make sense of the sesquicentennial years. It is my hope that this site will function as a unique window into the world of Civil War memory at the beginning of the twenty-first century. It looks like they found just the right person to take the lead on this project:. It’s exciting to explore new forms of scholarship, but we’re not exactly sure what to do with the blogs. 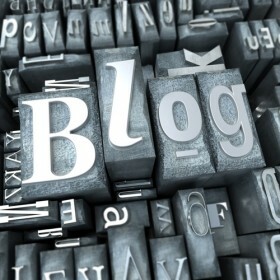 Although the blogs are currently active they will not always be, so we must determine how we want to preserve them. Since none of us are experts in digital preservation, we are trying to understand at a conceptual level how best to approach this project. This initiative has required us to think of larger issues concerning the library’s role in digital curation. Should libraries even try to preserve blogs and other digital content? Are we equipped, in terms of technology and staffing, to take on this kind of work? Can’t we rely on the big names in the field like the Library of Congress and the Internet Archive to take care of this? As an employee of a cultural institution, I’m biased to believe that libraries (as well as archives, museums, and others) have a responsibility to preserve cultural content as it fits within the mission, goals, and collection development policy of the organization. I also believe that institutions need to take responsibility and work to inform themselves so they can properly care for the digital materials in their own collections. The agreement that I signed includes other resources (digital and hard copy) as well, but any discussion of that will have to wait until we sort out some of the details. I will be sure to provide additional updates as this project evolves. Websites are tough–you can’t just save them as PDFs or something or you lose the interactivity. But as the underlying code changes and evolves, old websites stop working sometimes. So you do you go in and change the code (altering history) to preserve the historical appearance and functionality? A blog would be much worse, with its endless links and embedded content at other servers–what do you, as an archivist, do when that stuff goes away? Preserving our digital history is an important task, but not an easy one. Thanks for the suggestion and link. As an archivist with some background in digital preservation I second Larry’s comment – preserving a website is no easy thing. Codes change, hosting platforms are bought, sold or disappear altogether, etc. Likewise, any number of websites you link to could just as easily go away. God forbid something would happen to YouTube…that would render ineffective a tremendous amount of content on your blog. Most people are aware of what Brewser Kale is doing with the Internet Archive (http://archive.org/index.php). Kale is a tremendously intelligent librarian and he developed the Wayback Machine in 1996 as an early attempt at digital preservation. It’s a terrific tool for crawling old websites, however the ‘machine’ will only capture snapshots of a website…the functionality just isn’t there. Jump forward to today and we’re still dealing with the same problem of how best to preserve functionality. While I’d argue that your content and interaction with your readers would be the most important thing to save here, we’ve likewise seen your blog go through a number of stylistic changes which could prove equally as important to future researchers. Would snapshots that preserve the look and content of the blog be acceptable if it meant that some links might not work? There’s going to need to be some give and take in whatever decision is reached. I’ll tip my hat to Gettysburg College for seeing the importance of preserving this new platform of Civil War history. Best of luck to them as they tackle this incredibly challenging and important project. I’m not sure that preserving active functionality is a major plus for historians in 50 or 100 years. Trying to preserve something with an active and functioning comment system would be like offering a pen and spencerian script lessons to anyone accessing the Compiled Service Records to make edits as they saw fit. At some point, the dialogue within the comments needs to be “frozen” as a cultural object of a particular period. That said, a comment system on the blog content itself might be interesting, something akin to including post-it notes in file folders in NARA where researchers could comment on the documents , their content and implications. Aside from “selling” archive rights to blog content, for some of us smallfries, I think Creative Commons licensing, with Share-alike firmly embedded, will help more than anything to save our content for posterity: that which resonates will continue being shared. Anyone not seriously contemplating CC licensing in the academic blogging world isn’t paying homage to the academic ethic of sharing and collaborative understanding. What happens once the site is taken down permanently? The archiving of blog content is an ongoing challenge. Wayback machine is a start, but it is far from a satisfactory solution. I agree that you have pinpointed some of the issues related to content specific to blogging. Let’s hope we can figure it out.